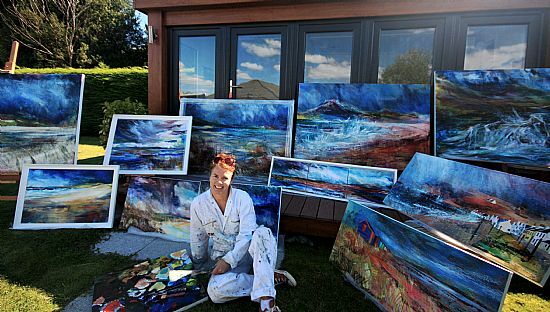 Fiona Matheson is known for her bold and vibrant textural work. This is not surprising having followed a successful career as a knitwear designer and after graduating from Winchester school of Art won the 'Young Designer into Industry Award' founded by the Royal Society of Arts. 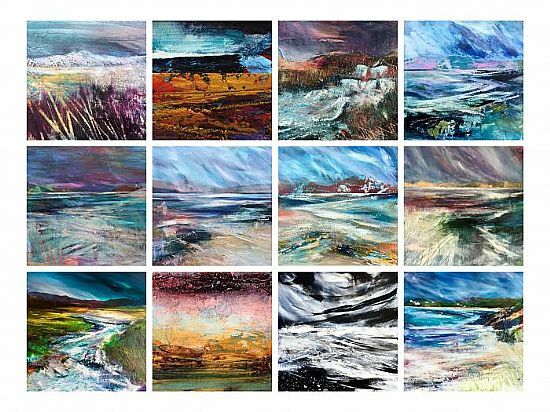 She works in both oils and mixed media and her unmistakable wide-format landscapes conjure the uncompromising essence of the north.